This is a guest post by LaRae Quy. She was an FBI agent, both as a counterintelligence and undercover agent, for 25 years. She exposed foreign spies and recruited them to work for the U.S. Government. Now she uses the skills she learned as an FBI agent to help others develop personal leadership strengths via her blog, Empower the Leader In You. You can also follow her on Twitter. The quickest and surest way to get fired as an FBI agent is to lie. Proven lack of candor is automatic dismissal—truth is a precious commodity in an organization whose primary purpose is peeling back layers of deceit to expose cold, hard facts. Many of us have a love/hate relationship with truth. We tell ourselves we want to know the truth, but we’re very selective about the kind of truth we seek. About others, yes—and usually about world events and situations that impact us directly, but we are less receptive to revelations about ourselves. In fact, self-knowledge is a two-edged sword because we might find out something about ourselves that we would rather not know. We’ve carefully packaged ourselves to look and act in a manner that ensures success in the world. Our ego has dressed us up for so long that many of us don’t even know how to begin to peel back the layers of illusion to expose cold, hard facts about ourselves. The Book of LaRae was quite short for many years. I, like most others, lived in co-dependent dramas by acting out the role and living up to the identity I’d given myself. There was little of substance because I hadn’t taken the time to excavate the significance of my own stories and experiences. I had the form but little else. This is ironic because peeling back the layers to get at the truth was my job. Yet I had never applied the same science to my own life. As a counterintelligence FBI agent, I identified foreign spies operating in the United States and tried to recruit them to work for the FBI. Identifying them was the easy part; I surrounded them with people and other informants that alerted me to their every move. A successful recruitment, however, means digging deep and finding what gives their life meaning. It is helping that person explore their choices in life so they can make better decisions. By encouraging people to be truthful about their dreams and goals in life, I empowered them to change direction so they would be moving toward something that had true meaning for them. When did the Book of LaRae start to thicken up? I was selected as spokesperson for the FBI in Northern California after working in counterintelligence for twenty years. It was a great opportunity, but in a way that I didn’t expect: it gave me the space to reflect on how to use those same counterintelligence skills to look at the role and identity I’d given myself as a way of competing—successfully—in a very competitive world. As we age, it becomes even harder to keep up false pretenses. It’s why baby-boomers are starting to experience emptiness as the identities they’ve given themselves crumble into layers of fat and wrinkles. Delete every number that is not an 8, 9 or 10. Either you have what you want or you don’t. Anything below an 8 means that you don’t have what you want but you haven’t faced up to it yet. If you want a great life, ask great questions. Questions can help because they are catalysts that get you to thinking about your own stories and experiences. The secret of an FBI stealth interrogation is to never ask direct questions. Instead, come from the side. Journaling is a powerful way of excavating the significance of your own stories and experiences. It’s a very effective way of coaxing out thoughts, questions, and insights into your patterns of behavior. It’s important to keep track of events in your life. This means more than the “Dear Diary” approach we learned as kids. 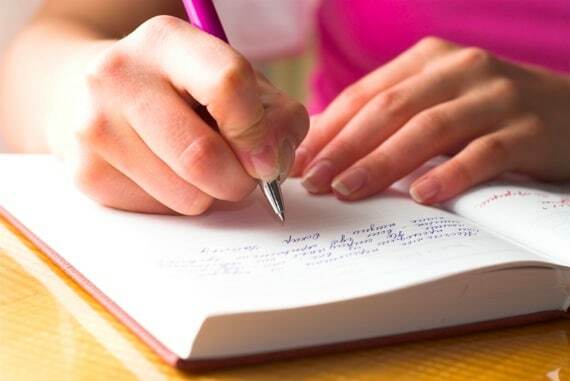 Journaling is like homework; only you can do it and it only works if you put your mind to it. You can only see the significance of events, people, or circumstances by looking backward. Memorialize the triumphs but look closely at the failures, losses, and disappointments. Only by examining your life in its entirety—the good, the bad, and the ugly—can you gain a deeper understanding of your experiences. More importantly, you give yourself the opportunity to change direction, if needed, so you can explore your choices in life and make better decisions in the future. Journaling was the tool that gave me the space I needed to look back at my life and see how I could move from form to substance. As you being to tear away at the packaging that your ego has wrapped you up in for so many years, you’ll find something very powerful inside: you. The real person is empowered because you’ll have no need to impress others. Or lie to yourself. What are you discovering about yourself? You can leave a comment by clicking here.